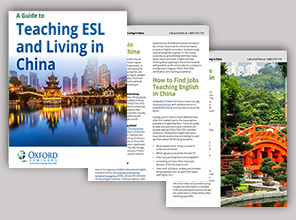 Download our Free Guide to see what life is like for English teachers in China. 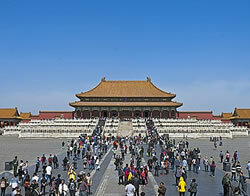 Teaching English in China gives you the opportunity to learn about a fascinating culture while gaining an extremely rewarding teaching experience. 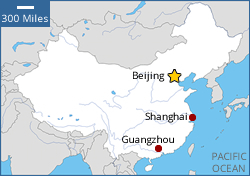 The demand for ESL teachers is extremely high in China; many aspiring ESL teachers have learned that it's always peak hiring season in China. 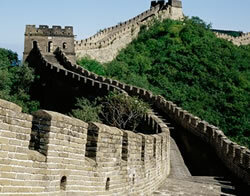 This guide is your resource for living and teaching English as a Second Language in China. 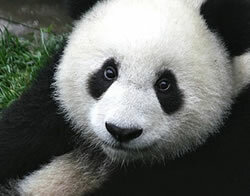 Food, climate, holidays, and more!